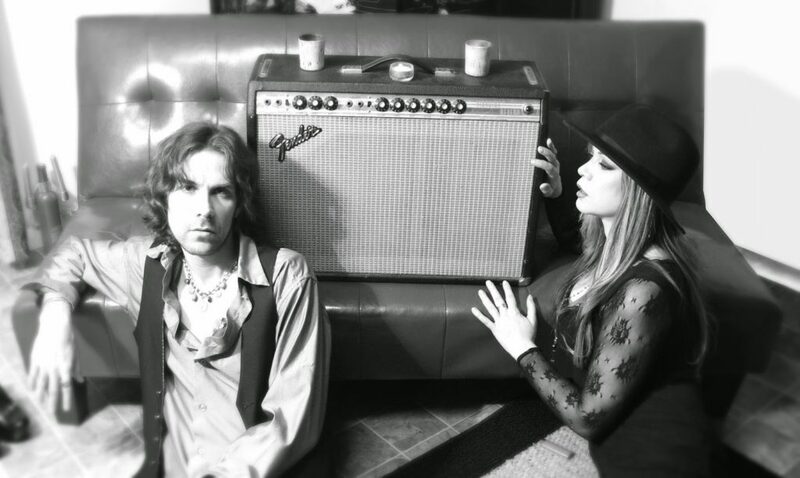 What a bloody terrible year 2014 was for the Nashville-based blues-rock duo, The Bloody Nerve. The home of guitarist Stacey Blood and singer Laurie Ann Lyne, their possessions and the Nerve’s carefully-constructed recording studio were all totally destroyed by fire. And though the pair escaped with their lives, Laurie Ann’s beloved father also passed away that year … just to rub it in. So, now for that cliché you often read when something good emerges from something dreadful. Here it comes: The Bloody Nerve have risen, like the proverbial Phoenix, from the ashes of their home and burnt-down studio. In this case, though, it’s not simply an overblown flowery phrase. It’s a description of what happened in the true sense of the ancient metaphor. 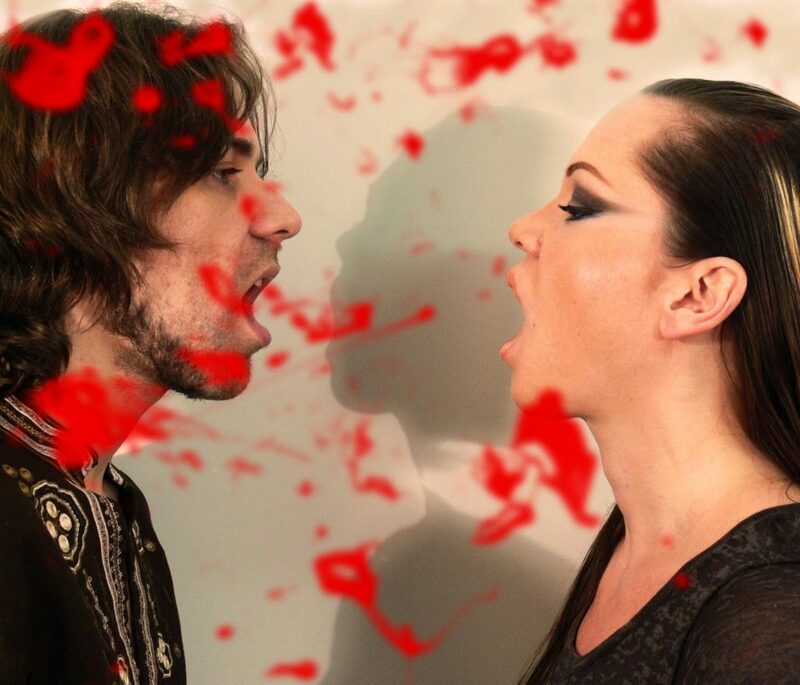 The result of The Bloody Nerve’s fiery setback is a smouldering new debut album, “Taste”. Whether its title is a nod to the late Rory Gallagher’s seminal Irish blues-rock trio, Taste, of the early 1970s, I don’t know. Maybe Stacey Blood’s musician dad, Bobby, also the Nerve’s bassist and trumpeter, told Stacey all about Taste when he was growing up. If you don’t know of Taste, they formed in 1969, as did Led Zeppelin, to fill the massive gap in the blues-rock market left by the breakup of that sublime hard rock trio, Cream. And if memory serves me well, I remember Taste getting bigger headlines than Led Zeppelin at the time – huge front-page banner headlines – in the British rock press. 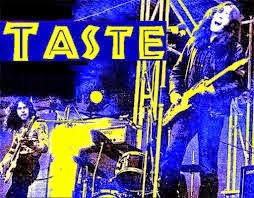 Taste were that BIG in those far-off days, even if they do seem forgotten now. So if Bobby did educate young Stacey Blood about Taste, nice one. been played on the UK’s award-winning radio show, Blues and Roots with Dave Watkins. Like The Bloody Nerve’s two earlier EPs from 2013, Red and Blue, the new LP Taste is produced, engineered and mixed to exacting standard by Stacey Blood. Ten songs strong, as Nerve fans would expect, the album is full of rip-your-balls-off blues rock. There are some gentler moments, though. Stacey’s soulful blues ballad, “Changin’ Mind”, has been completely redone with some exquisite electric guitar. Laurie Ann, too, puts her powerful vocals into ballad mode on “Find Your Love”, a poignant rendering featuring, not once but twice, on the soundtrack of France’s prime time TV drama, ‘Interventions’. After the unwelcome intervention of 2014’s fire, Bloody Nerve songs being played French TV perhaps offer the band glimpses of that silver lining every cloud is supposed to have. After all, France is a big market with a long blues history. Let’s hope 2015 isn’t quite so bloody as last year for Nashville’s Bloody Nerve and the only Interventions seen from now on are on French television. Link below for more about The Bloody Nerve. “Great stuff – Riveting Read – Well done Paul (once again).” Carlos Wilde (@carlos_wilde) Spain, Feb 16 2015. “@thebloodynerve Enjoyed reading about you via our talented friend @paulgmerry” Carlos Wilde (@carlos_wilde) Feb 16 2015. “@carlos_wilde Thx! Paul knows his music for sure.” @thebloodynerve USA Feb 16 2015. “@thebloodynerve I just love the way he (Paul) approaches stuff – different angles with a great end result.” Carlos Wilde @carlos_wilde Feb 16 2015. “carlos_wilde #sotrue @thebloodynerve Feb 16 2015.